Séquential Couleur Avec Mémoire (Sequential Color with Memory). A composite color standard similar to PAL, image format 4:3, 625 lines, 50 Hz and 6 Mhz video bandwidth. 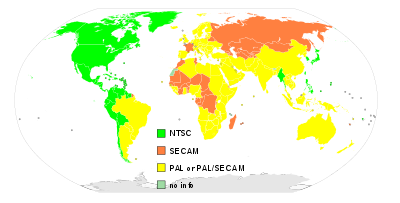 The SECAM standard is currently used only as a transmission standard in France, Russia and a few other countries. Video is produced using the 625/50 PAL standard and is then transcoded to SECAM by the player or transmitter.